A large amount of daily socialisation centres around food; going out for meals with family and friends, grabbing an afternoon coffee, communal lunch areas in offices and schools etc. Going to nice restaurants and enjoying good food without the chore of cooking and washing up is something many people enjoy. 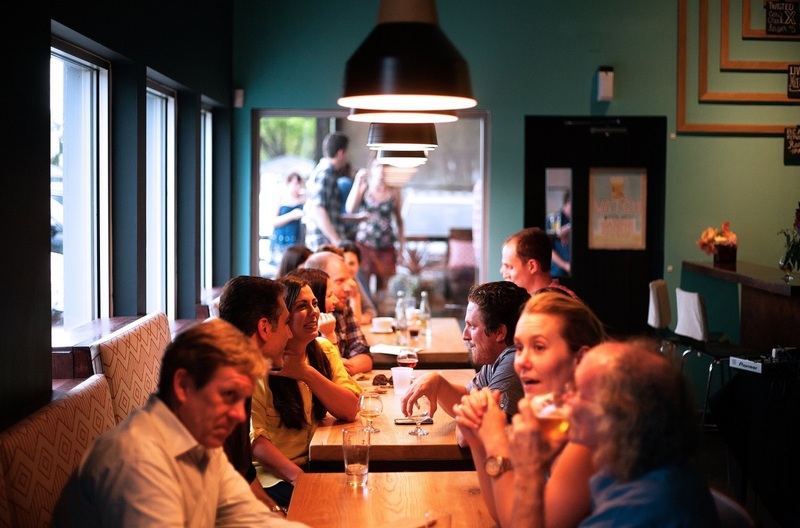 However some with Social Anxiety Disorder experience fear in eating in public and in front of others, much of the time missing out on the social events and gatherings, which could lead to worsened problems. Secluding yourself has the potential to lead to not meeting new people or losing/ causing concern in those who invite you out, potentially resulting in isolation and loneliness. There may be fear of embarrassment and drawing attention to oneself, such as spilling food or drink, choking, upsetting your bowels or just simply looking attractive. When you overthink your table manners and how you appear, they tend to become worse as your awareness and pressure on yourself increases. Potentially messy foods such as spaghetti will be more anxiety-provoking, because there is a greater likelihood of embarrassment while eating. Type of beverage does not usually influence level of fear, although drinks that are more likely to stain, such as red wine, may provoke more anxiety. Very Well continue to make note of studies linking Social Anxiety and disordered eating, in that a 2015 study found that this fear of negative evaluation explained part of the relationship between social anxiety and aspects of disordered eating. This symptom of SAD affects about 25% of those affected, and treatment can be in the form of cognitive-behavioural therapy (CBT) or focus groups. These treatments communicate the identification of uncontrollable, automatic negative thoughts and promote rational thinking in its place. wikiHow offers advice on self-help precautions to take for those with SAD to reduce anxiety levels. These include ordering food that’s less likely to be messy – steer clear of spaghetti and go for something you’re able to cut into small pieces. Also ensure you’ve got a napkin handy, so if there is a spillage mishap, there’s a quick solution. Of course, anxiety isn’t fixed by a napkin and there are still lots of obstacles in the way of fear. Finding someone you’re close to and who you trust and practise relaxing in a public eating setting may also be helpful and build confidence. Self-doubt is a big part of social anxiety, comparing you to others and being convinced you’re inferior and look out-of-place. wikiHow continues in saying it’s good to self-assess how you feel and whether you’re being too hard on yourself, and if what you’re worrying about is worth worrying about. Again, this is no quick-fix, and only time, patience and practise will eventually improve the outlook and reduce the fear about eating in public.